An Interview With The Roots-Rock Musician BRENT COWLES! 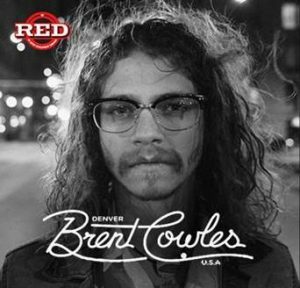 Fresh off the heels of SXSW and Treefort Music Festival, raucous roots-rock singer Brent Cowles (pronounced Coles) released his debut EP, Cold Times on April 28 via Dine Alone Records. While the Cold Times referenced in the soulful title track are intensely personal, the song’s sentiment has taken on an entirely new and expanded meaning in a post-Trump America. Before choosing to release music under his own name, Cowles and his profoundly soulful voice wooed audiences and industry alike as front-man of indie folk troubadours You Me & Apollo. The band’s buzz and timely aesthetics made them a top draw throughout Colorado rock clubs, and it wasn’t long before they were being booked by The Lumineers‘ agent at Paradigm Talent Agency and opening multiple gigs for Brandi Carlile and touring with Nicki Bluhm & the Gramblers. But as that chapter slammed shut, 27-year-old Cowles not only went electric for the songs that would become Cold Times, he dug deep into his vocal chords to find a new persona – that of the rare rock ‘n’ roll frontman whose nuances behind the mic still allow him to create a genuine connection to his fans. Thanks for your time! What are some words you would use to describe 2016 for you and your music? How is 2017 treating you so far? 2016 was all about development both with music and on a personal level. This year has been alright so far, I’m excited to share the music we’ve been working on. Where does this interview find you today? Is there music playing in the background? If so, what is it? I’m sitting in a coffee shop in Fort Collins, Colorado listening to The Deslondes self titled album through headphones. Growing up I wanted to do whatever I saw in movies. At one point I was aspiring to be a Mighty Duck (not on the Anaheim NHL team, but the one coached by actor Emilio Estevez in the hit Disney series). I couldn’t skate. At age 12 I started playing guitar, and I haven’t looked back since. I understand that you were a part of the group You, Me & Apollo. How does being a solo artist compare to your experiences with the band? I learned a lot from the You, Me & Apollo years. That project was actually my solo gig for the first half of it’s existence. It’s hard to compare the two. The biggest difference I feel between then and now is experience, and I still have a long way to go in that department. On April 28th, you released your debut EP, “Cold Times.” Are you excited to finally have it out? What was it like putting this collection together? How long did it take? This project is louder than You Me & Apollo was. I am excited to release this EP. These songs were developed in collaboration with producer, friend, and band member Joe Richmond. He really helped give direction to the sound, and I’m proud of the tunes we’ve created. The process has taken roughly a year and a half. What was the inspiration for your EP’s lead single “Cold Times”? What do you think about it taking on an entirely new expanded meaning in this post-Trump America? Cold Times is about how divided people are. We’re picking sides instead of learning acceptance. You have to acknowledge a problem to initiate change. I think post-Trump America feels pretty damn cold. The timely relevance of the song’s meaning is why it was chosen as the title track. What has it been like performing these songs live? How was South By Southwest? How have your recent shows been going? It’s been great. I get to play rock n roll with my best friends. SXSW was a chaotic concoction of sweat, Lone Star, and music. Pretty good party. I am a big fan of Nathaniel Rateliff so I love that you had that intimate moment with him after one of his shows. What was that experience like for you? Did you take his advice immediately? Nathaniel is a groovy dude, and he’s been at this for a long time. I appreciated the advice he shared with me, and bought an electric guitar that week. Who are some of your all-time favorite artists? What artists have been inspiring you and your music since day 1? Who would you love to work with in the future? Elton John, Gillian Welch, John Lennon, Otis Redding, Harry Nilsson, Jeff Tweedy, Fleetwood Mac, the list could go on for a while. I suppose there are a lot messages in my music. Overall I want to create something relatable, and use this platform to speak up for what I believe in. The times feel cold. Let’s feel cold together. An Interview With The Rockers, RADIOBLACK On New Music, Favorite Artists and More! Nashville Singer-Songwriter RUSTON KELLY Discusses Making His Debut EP, Favorite Musicians and More!